Happy 2019 lovelies! 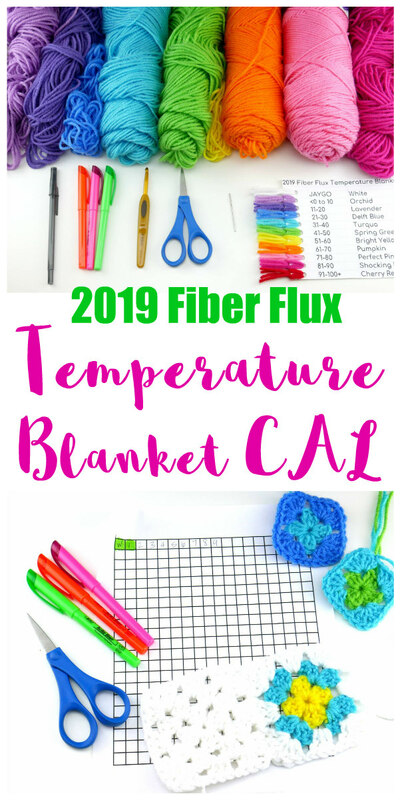 January is all about temperature projects! 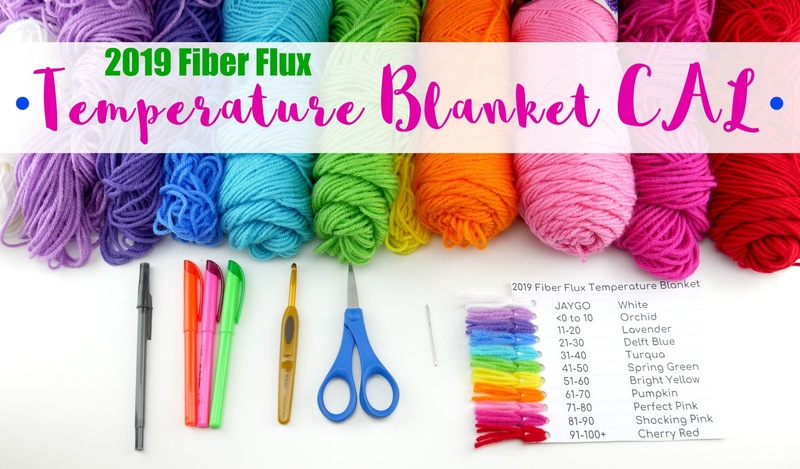 I have absolutely adore these kind of projects, and I'm really excited about this one! If you're not familiar with the concept, a temperature project is where you create a motif or row on a project you're making based on your local temperature outside...fun! It goes on for a year and at the end of the year, you'll have an interesting representation of the temperatures for an entire year! This year, I wanted to try doing a motif project...a gorgeous blanket! We'll be doing a small daily square in just two rounds, they joining them together as we go with a common color (I'm using white) to frame them all in. Round 1 will be the daily high, round two will be the daily low temperature. 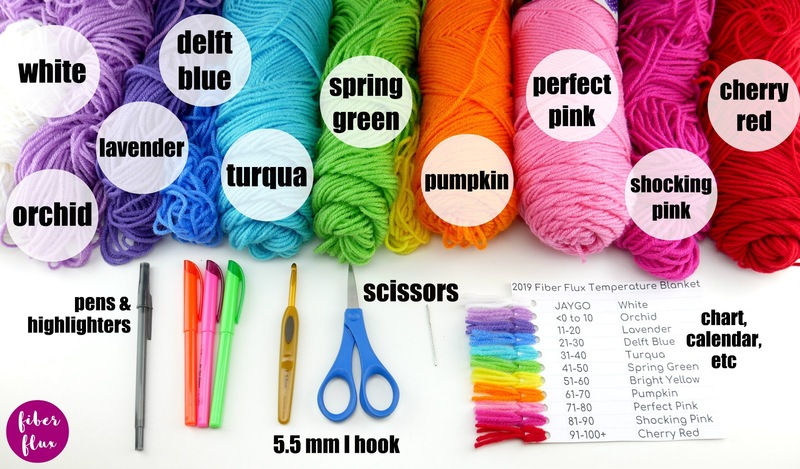 Tomorrow, we'll learn the crochet part, today we will learn how to get started. 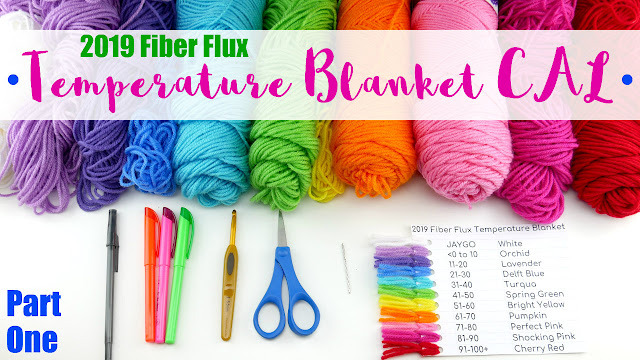 We're going to create a beautiful, colorful granny motif blanket. 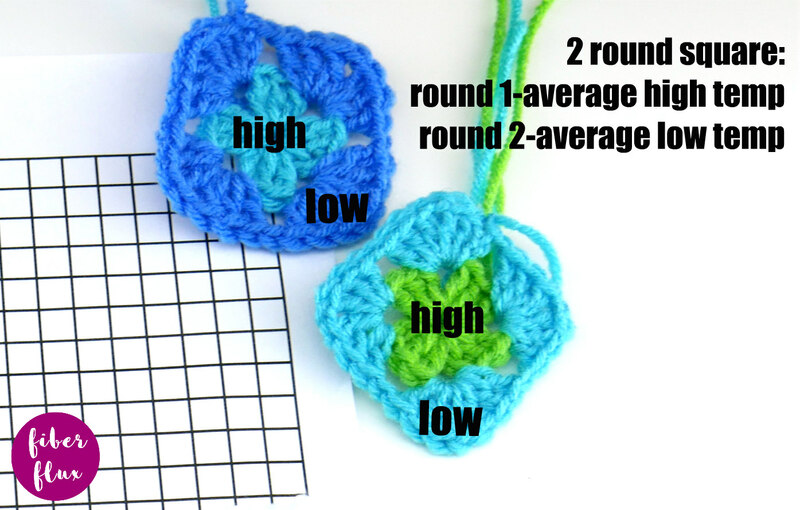 We will do one tiny granny motif per day, first round average high, second round average low. Alternatively, you could do both rounds in one color for the average daily. Each square (using yarn and hook I'm using--all three rounds high round, low round, and JAYGO round) is roughly 4 inches wide and tall, so if you multiply that by 18 squares across and 21 squares down (give or take to account for personal tension), you get about 72 inches wide and 84 inches long (give or take). I will provide seasonal updates on the progress of the blanket throughout the year, there will be a spring, summer, fall, and winter update. At the very end of the year, we'll recap the whole year and add a simple border if you like! I have created lots of tools to help you keep everything straight and totally organized as you go. One thing I really dislike doing is counting squares over and over again, so hopefully one or all of these tools will help you!! Red Heart Super Saver (or similar weight yarn) in cherry red, shocking pink, perfect pink, bright yellow, pumpkin, spring green, delft blue, turqua, lavender, orchid, and white) This yarn has no dye lots, so great if you need to pick another skein of one of the colors later in the year...you don't need all of the yarn now! Let's talk about the temperature scale next, I created this little chart with some card stock and bits of yarn...as you can see below, I will be using similar ranges as last year, only difference is the JAYGO color will be white, and I added the "Pumpkin" color in too. To get your average daily temperature, check out your local weather forecast or an app. If you need past temperatures, you can easily look them up , by clicking HERE. For the layout of the motifs, we're going to do 18 squares across and 21 squares down. This will include all 365 days of the year...but then there are 13 squares extra...no worries!! We're going to create a "marker square" at the beginning of each month (12 total) + one extra to close off the year. This will give us a beautiful rectangle shape. Plus I kind of wanted to see a little bit of division in the months so visually you can see where you're at in the year...neat, right?!? Below is an example of how I'll keep all of those grannies organized. 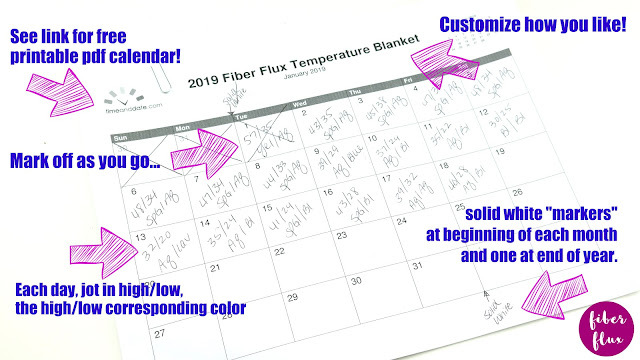 I made a CUSTOM grid on this site click Click HERE for Graph Paper Link. It's simple, just enter 18 x 20 and it will generate it for you. Then see below how I mark it as I go? Easy peasy! As I make a square I mark it in pen ("W" for white (the blank marker) or the day date (1, 2, 3, 4, 5, etc). 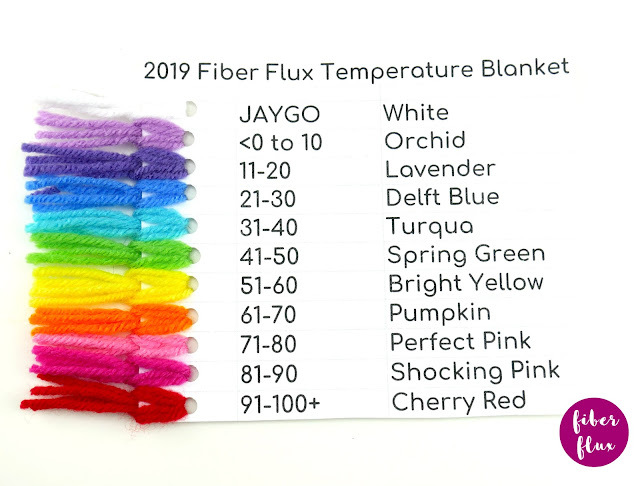 When I JAYGO it to the blanket, I then color it in. This keeps it straight for me...it helps a lot! 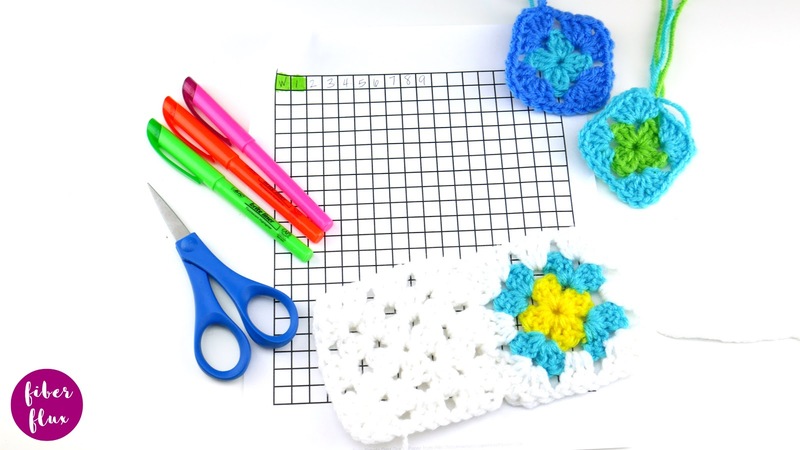 Check out the written pattern tomorrow to learn about how to crochet the multi color square, solid color square, and the join as you go technique (JAYGO). It all looks so beautifully organized! Thank you for sharing your method! love the colors you picked. Woo hoo! 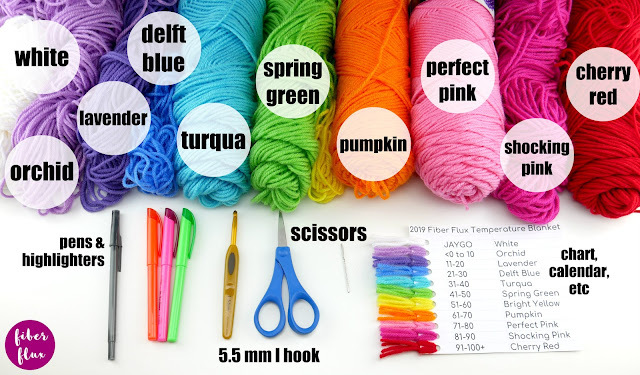 I was trying to figure out how to do one of these outside of single crochet rows for this year. Perfect timing on launching this. Thanks! I am so ready and excited to get started! I have watched so many YouTube videos on this subject and I found yours to be the most helpful and your using both the daily high and low, not just one or the other! Thanks again! I am getting ready to start this challenge. I am from Quebec, and I have a lots of LOW @ 0 and HIGH @ -5 in the same day. I will have a lots of squares all the same colors. SHould I add a color from -1 to -10???? ?